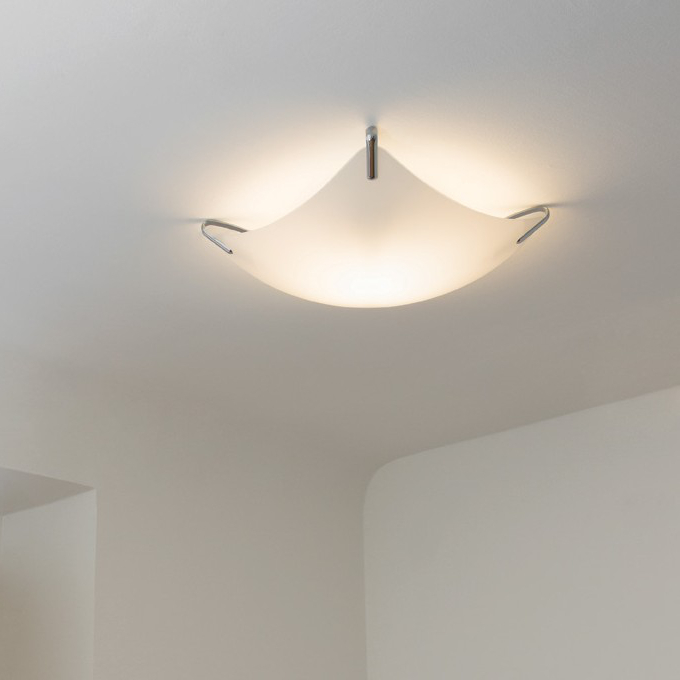 The ceiling light VELA MAJOR, which was designed by Stefano Marcato, is an integral part in the offer of Nemo. The glass diffuser in white glass reminiscent of sails, which seems to float in space. The brass shoulders complete the immaculate appearance of the VELA MAJOR. A room is bathed by the VELA MAJOR Nemo in a comfortable and atmospheric setting.